Vacuum flasks that have been stored for a time can smell musty and unappealing for reuse. Here is a way to restore the fresh odor. Fill the flask to almost the top with hot water. 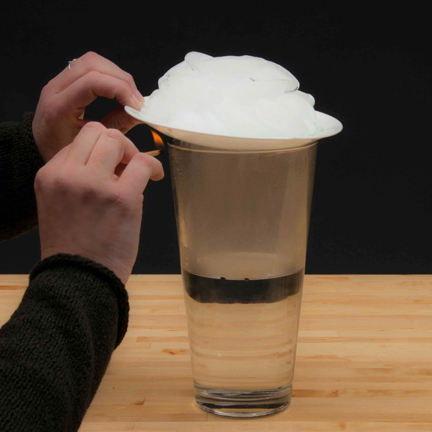 Here is …... Pour undiluted white distilled vinegar into the water bottle. Use a dish washing scrub brush to scrub the plastic bottle clean. Follow with fresh water and allow to air-dry. Use a dish washing scrub brush to scrub the plastic bottle clean. 3) Fill it with water again to 50%. 4) Tip it out. 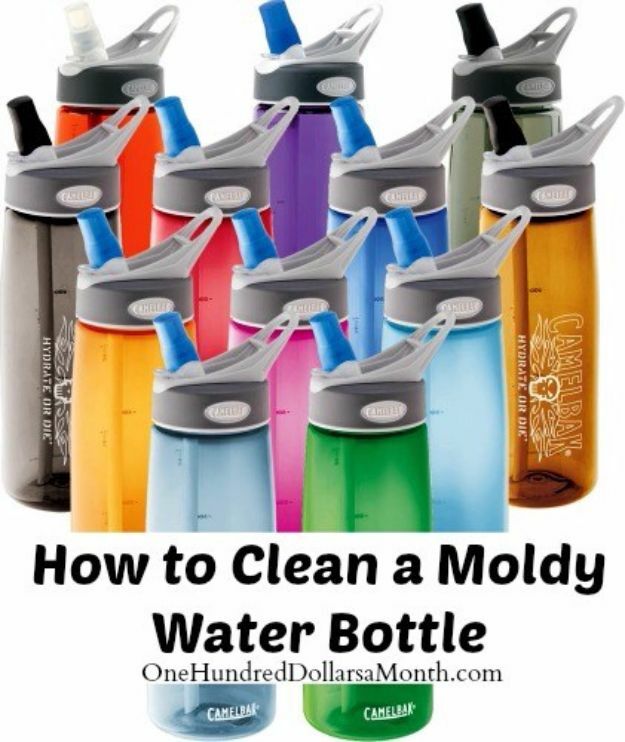 5) Fill the bottle with water somewhere between 60 & 75% and put the lid on. 6) Shake the closed bottle vigorously ideally whilst listening to 80s rock music. 7) Tip out the bottle. 8) Fill the bottle a bit and tip it out. 9) Wash the cap under the by now scalding stream of water. 10) and you’re done. NB you can reduce water wastage... Pour undiluted white distilled vinegar into the water bottle. Use a dish washing scrub brush to scrub the plastic bottle clean. Follow with fresh water and allow to air-dry. Use a dish washing scrub brush to scrub the plastic bottle clean. So I left my water bottle at a friends in another state for like 3 months before I could get it back. Unfortunately they didn't empty the water and clean it for me (In hindsight I should've asked them to do this. ), and so there was a strong mold smell with some black mold on the rubber seal at the top when I got it back and opened it up.... To prevent mold, you would have to sterilize the bottle, and boil the water to kill any infections. Bottle the water under a UV light source. They use UV light sources in laboratories to kill airborne pathogens. Nothing's worse than taking a swig of water at the gym and realizing your bottle - which of course you re-use, you eco-conscious greenie, you - stinks.... So I left my water bottle at a friends in another state for like 3 months before I could get it back. Unfortunately they didn't empty the water and clean it for me (In hindsight I should've asked them to do this. ), and so there was a strong mold smell with some black mold on the rubber seal at the top when I got it back and opened it up. Nothing's worse than taking a swig of water at the gym and realizing your bottle - which of course you re-use, you eco-conscious greenie, you - stinks. Just take the bottle to the bathroom, squirt some soap in the bottom, fill it up with water and let it run until the soap stops bubbling out over the top, then rinse. Just do it after you go to the bathroom or something so it doesn't take extra time out of your day. Also when the water hits the drain stop it splashes and sprays the moldy water all over the floor and our clothes. I can't figure out how to remove the stopper as it is attached. I can't figure out how to remove the stopper as it is attached.